News roundup: Subaru Outback to appear at New York show | What Car? 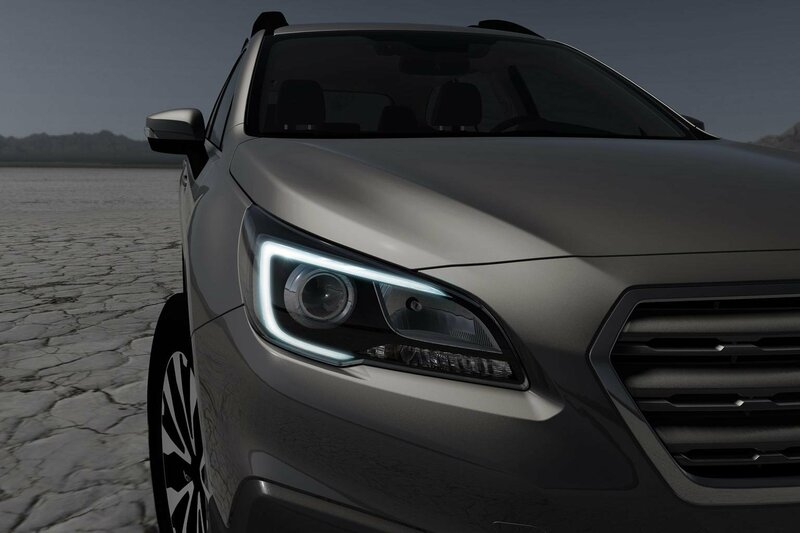 The Subaru Outback is set to appear at the New York motor show later this month. The Outback is the more rugged and capable version of the Subaru Legacy that was first shown at the Chicago motor show earlier this year. There is currently no plan to bring the Legacy to the UK in any form, either as a saloon or an estate. However, Subaru has confirmed that it will bring the Outback to the UK from early 2015. It will go on sale in the US from June, and more information is expected on the UK car around that time. The upcoming Jaguar XE will be offered with the V6 petrol engine that is used in the F-type sports car. Jaguar was originally thought to only be offering a new range of 2.0-litre, four-cylinder engines in the XE, named Ingenium. However, the company confirmed on its UK website that the supercharged V6 engine will go into the XE. **The XE will also aim to offer the power and refinement associated with Jaguar, but with CO2 emissions of under 100g/km. It will rival the likes of the BMW 3 Series and the Mercedes C-Class, and will go on sale next year. **The new Kia Sedona MPV will be displayed at the New York show from April 16. Kia confirmed that the mid-size MPV will be able to carry up to eight passengers. However, Kia also confirmed that there are no plans to offer the new Sedona in the UK, and will be only offered in the US.